A while back I reviewed Cartoon Action Hour Season 2. A great, really fun game. Especially if you grew up in the 80s. 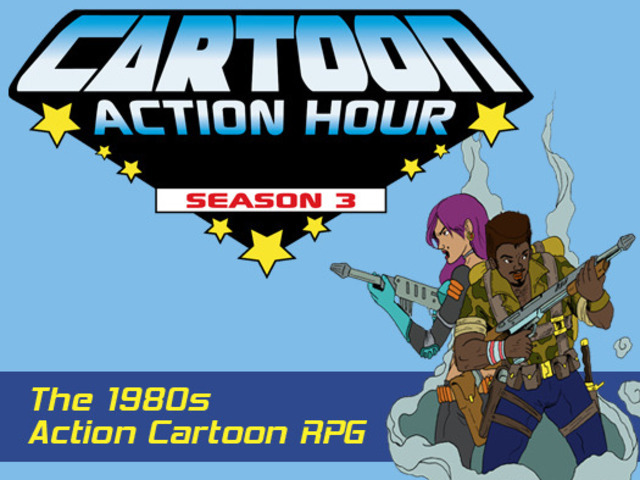 Well Spectrum is up with their new Kickstarter for Cartoon Action Hour Season 3. Open for only about and hour and half so far (at the time of this posting) and it is doing well. Lots of levels to pledge at including some early-bird ones to get some discounts.